That’s Tallulah and Frannie out for an afternoon ride yesterday in Seattle. Tallulah carries her toy dog in the basket and Frannie teaches yoga in the neighborhood. 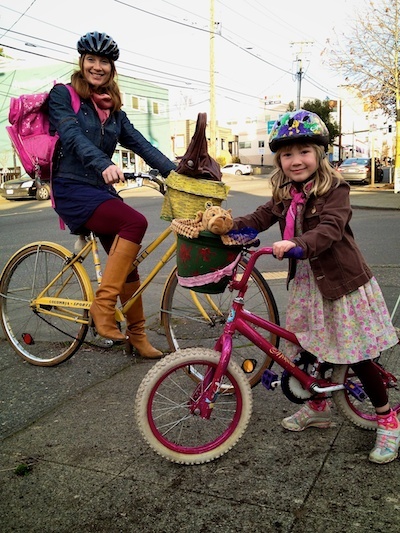 These stylish cyclists were spotted in the Greenlake neighborhood. High-rez version on Picasaweb.